The bold, brass sounds of the Renaissance open the Symphony's 2016-2017 season. Enjoy the ageless classics that ignited our love of symphonic music, featuring our 2015 Youth Competition co-winner, violinist Dane Jacobson. 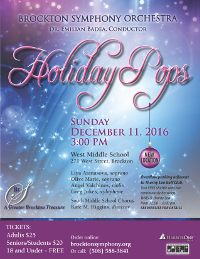 Lift your spirits at our joyous Holiday Pops Concert as we celebrate Assistant Conductor Dr. Emilian Badea's 10th Anniversary with the Holiday Pops. Listen (and sing along) as we reprise your favorites and introduce new gems from around the world. A truly memorable celebration! 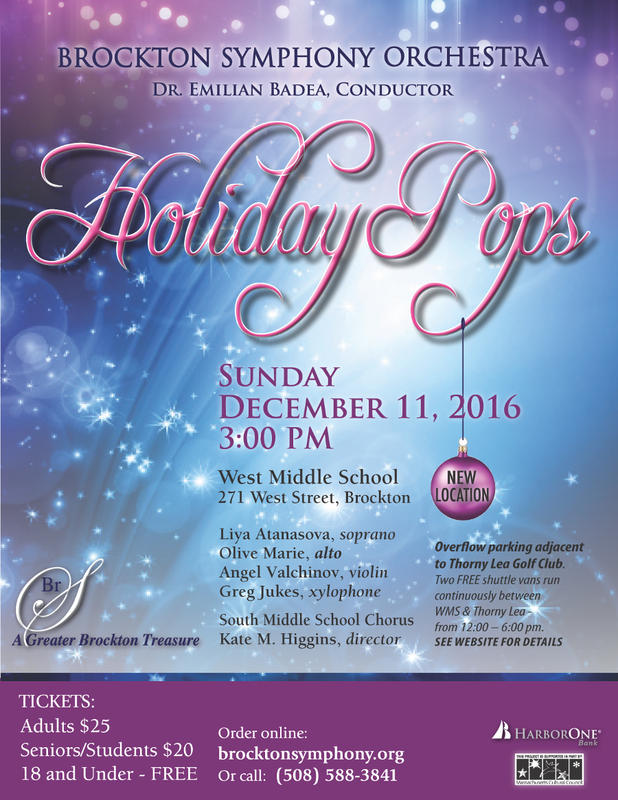 With special guests Olive Marie, alto, Liya Atanasova, soprano, Angel Valchinov, violin, Greg Jukes, xylophone, and the South Middle School Chorus, directed by Kate M. Higgins. Once again, we offer our popular Chamber Music concert, in which small groups perform more intimate music, from Baroque to Contemporary, with each musician playing his/her own part. 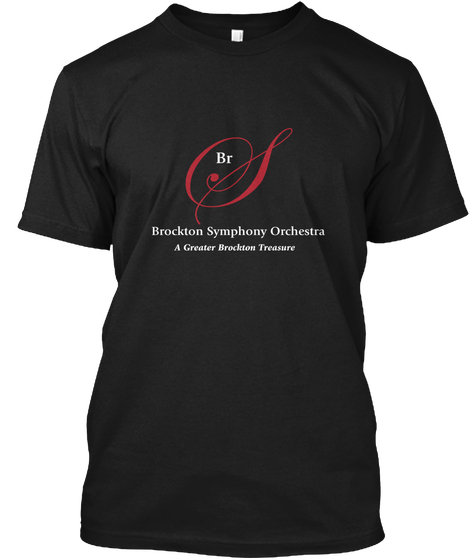 The BrSO Chamber Players perform their favorites. Tap your toes to dance music for all ages, including the American premier of William Perry's Two Dance Pieces for Trumpet and Orchestra featuring beloved BrSO principal trumpet, Wayne King. This concert features BrSO Board member and local composer Eric Lindgren's own Extreme Spirituals, with bass-baritone Oral Moses singing a suite of spirituals, including Sometimes I Feel Like a Motherless Child, Joshua Fit the Battle of Jericho, and more. Then sit back for Dvorák's sublime Symphony No. 9; The New World Symphony, inspired by African-American spirituals and Native American melodies.